So far we have advised readers of the many dangers that are a result of an overloaded electrical circuit. It’s been made apparently clear that having too many devices plugged or straining electricity from on outlet is likely to cause some mainly fixable, but quite annoying, issues. 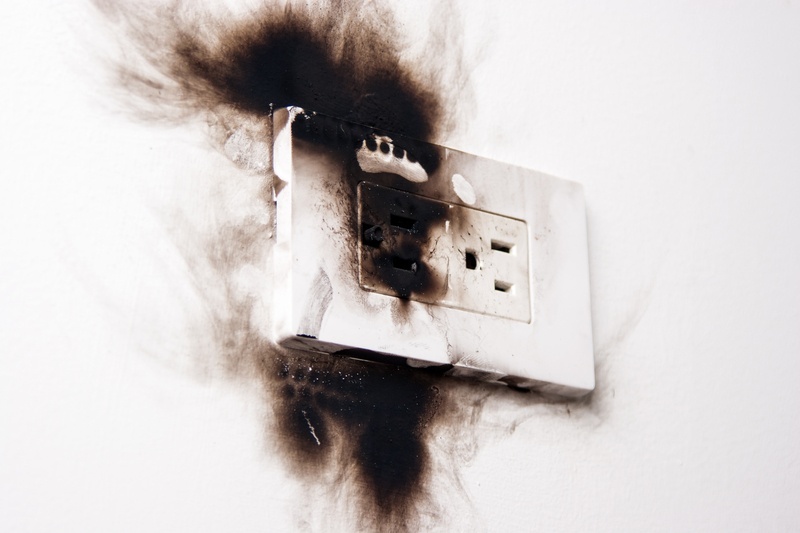 An exhausted electrical circuit is usually the main culprit in issues such as blowing fuse and a tripping breaker, which are all essentially attempts to prevent your wiring from overheating and potentially combusting into flames. Another hazard that may arise from an overloaded circuit is that the outlet is likely to become hot to the touch. So what should you do in case you find warm outlets? Start unplugging devices and call a pro! Research shows that items like hair dryers, power drills, vacuums, and cell phone charges are particularly high in wattage and have the potential to drain the most power from your circuit and ultimately cause an irritation in the home wiring. Whenever you come across warm outlets we advise that you contact a professional immediately.